Click here for larger, printable map. 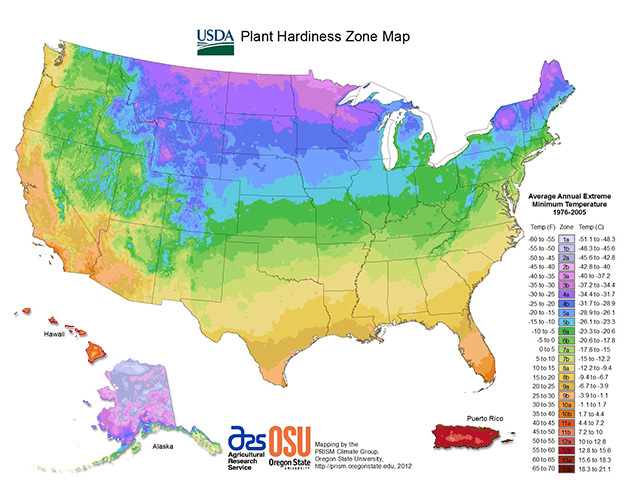 Look up your plant hardiness zone by zip code at US Department of Agriculture website. Download larger growing zone maps. Visit PlantMaps to obtain average frost dates and other data for your area.